Perfect for stargazers and armchair astronomers of all ages, CONSTELLATIONS is a beautifully illustrated, fascinating guide to all 88 constellations, including an illustrated star map for each. 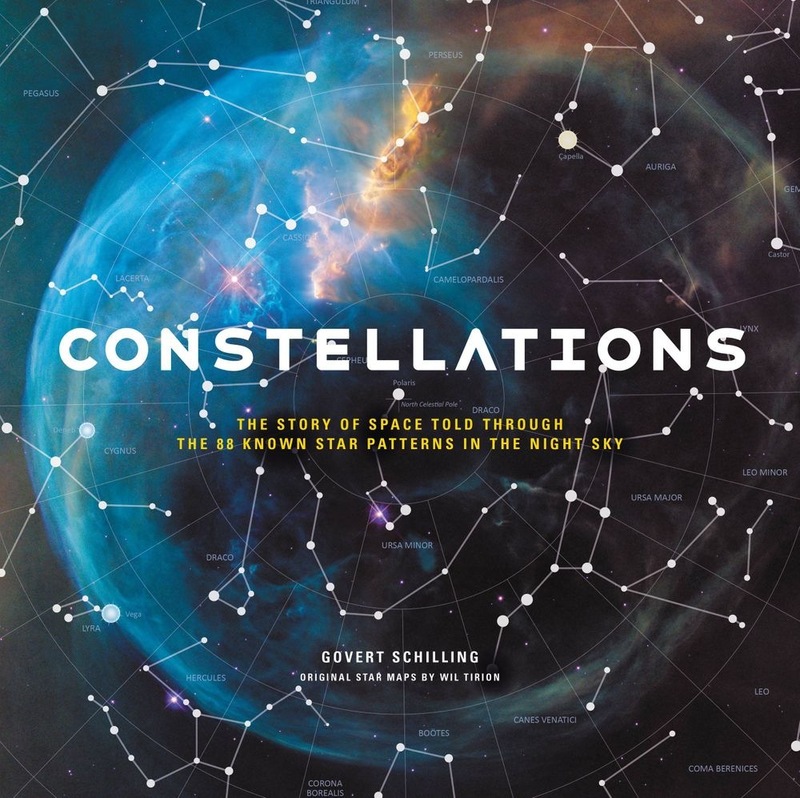 In CONSTELLATIONS, award-winning astronomy writer Govert Schilling takes us on an unprecedented visual tour of all 88 constellations in our night sky. 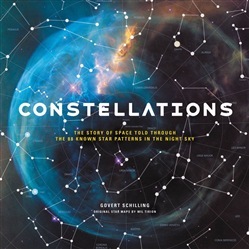 Much more than just a stargazer's guide, CONSTELLATIONS is complete history of astronomy as told by Schilling through the lens of each constellation. The book is organized alphabetically by constellation. Profiles of each constellation include basic information such as size, visibility, and number of stars, as well as information on the discovery and naming of the constellation and associated lore. Beyond details about the constellation itself is information about every astronomical event that took place or discovery made in the vicinity of the constellation. In the constellation of Cygnus (the Swan) we encounter the location of the first confirmed black hole. A stop at Gemini (the Twins) is a chance to say hello to the dwarf planet Pluto, and in Orion (the hunter) we find the location of the first identified gamma-ray burst. Stunning star maps throughout the book by acclaimed star mapmaker Wil Tirion show us the exact location of every constellation, the details of its structure, as well as its surrounding astronomical neighbors. Acquista Constellations in Epub: dopo aver letto l’ebook Constellations di Wil Tirion, Govert Schilling ti invitiamo a lasciarci una Recensione qui sotto: sarà utile agli utenti che non abbiano ancora letto questo libro e che vogliano avere delle opinioni altrui. L’opinione su di un libro è molto soggettiva e per questo leggere eventuali recensioni negative non ci dovrà frenare dall’acquisto, anzi dovrà spingerci ad acquistare il libro in fretta per poter dire la nostra ed eventualmente smentire quanto commentato da altri, contribuendo ad arricchire più possibile i commenti e dare sempre più spunti di confronto al pubblico online.